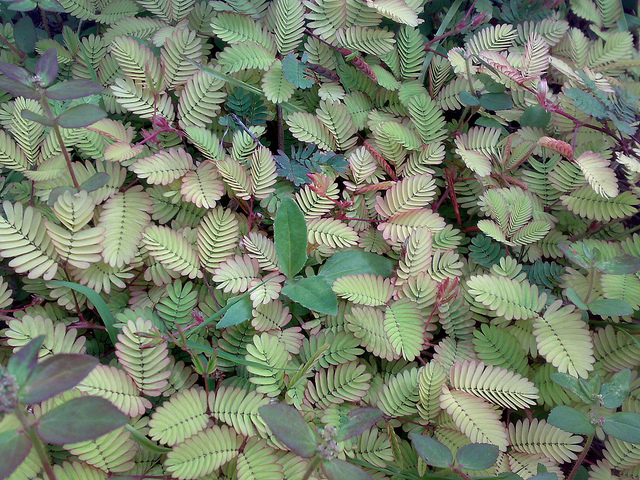 To all intents and purposes the Touch-Me-Not looks like your average kind of plant. Yet it is so named for a very good reason. A single touch and the leaves of the plant fold inward and droop. No wonder the last word of its scientific name, Mimosa Pudica is derived from the Latin for shy. Take a look at its reaction to a single touch of a finger.